The building cluster is a large and important industry in the Netherlands’ Twente region. Prior to the crisis, it provided 14% of local jobs in the eastern part of the Netherlands with about one in seven jobs in the building industry. During the crisis, the number of full-time jobs dropped by 70,000 nationwide. By 2014, a substantial decline of 10,000 work years in construction employment was expected by the Dutch Economic Institute for the Building Industry (EIB). Production in residential construction decreased by more than 10% in 201, on top of a 10% volume loss in 2012. The overall turnover for the building industry also dropped significantly. Maintenance projects were the only segment that remained stable. Since the crisis, new home construction have fallen to as much as 35% and continued to contract by another 7% in 2014. However, the 2015 forecast expects the building industry to grow by an average of 4% annually from 2015 to 2019, mainly driven by the residential construction sector. The volumes of new homes are set to rise by 10% per year in 2015–2019. Maintenance and renovation are also picking up. As these forecasts become reality, there will be a shortage in the labour industry. The European Union’s attention is also focusing on construction. As the industry earns 9.1% of the gross domestic product (GDP) in the 27 member states, the built environment is accountable for 40% of energy consumption. Construction is also one of the sectors with the highest greenhouse emissions consuming up to 36% of newly extracted resources. In the 2013 European Construction Industry Federation (FIEC) survey, 14.6 million people work in the industry at 3.1 million companies, 95% of which are small and medium-sized businesses with fewer than 20 employees. This totals to 43.8 million people in Europe relying on the building industry for their livelihoods. Construction is the single biggest industry in Europe. To address the crisis’ impacts and the social challenges in terms of resource efficiency and energy transition, new technologies should be utilised. Current Dutch construction practices are still centred around dealing with the impacts of industrialisation and standardisation, which are great strategies during the reconstruction efforts after World War II. But with the Internet and computers and globalisation, information and communication technology (ICT) has radical impacts on all industries including construction. 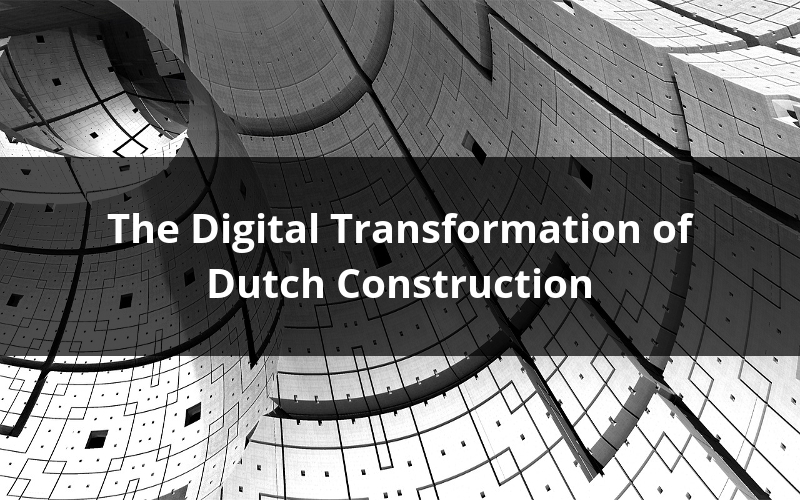 The Dutch Digital Agenda aims to respond to these changes by developing technologies that enhance customer focus and sustainability including in the Dutch construction industry. Over the past few years, a lot of mass customisation has happened. Catalogue houses and modular homes have been a trend in the countryside. A couple of building companies have been focusing on supply chain integration and mass customisation. Examples include the Van Dijk Group’s Customised Housing designs and Nijhuis’ Trento concept. The current focus in Dutch construction is modularisation and subsystem engineering. Despite mass customisation, the building processes still try to address the consequences of industrialisation and standardisation. Lots of Dutch architects have come up with organic and complex designs since the 80s but the Dutch construction sector was not yet prepared to realise the then radical designs. Projects also suffered structural failures and budget overruns. As newer software were developed and the use of digital information in the building process can now be incorporated, these complex designs are now being realised. However, they still remain to be difficult projects to handle. Many information processing opportunities are still unused or underused. Building Information Modelling (BIM) allows various data and information from different parties to be properly aligned and makes key information available to specific shareholders. BIM is very ideal but everyone knows that its functionality is not yet being used optimally. Before the 2008 recession, specific niche trends started to emerge. Projects became smaller with focus on sustainability and meeting customer requirements. As projects became more difficult to finance, the trend has shifted to refurbishing individual homes. It has become more and more customised. Central and local governments have been reducing their service levels as well supporting the benefits of a do-it-yourself society. The traditional top-down system is thus becoming less dominant, making a way within our social structures for a bottom-up approach that gives people the opportunity to decide what they feel is important and to act accordingly (Oostra, 2013). Information and communication technology (ICT) is being applied within the Dutch construction industry to de-burden, enable co-creation and co-production, and allow sustainable construction. De-burdening is making available ready-to-use concepts that give consumers a choice of ready-made alternatives with a proven performance. As the individualisation process continues and computer and communication technology evolves, users are justified in expecting more from providers in the construction industry, for renovation as well as new build projects (Hofman et al., 2012). The construction industry has made great strides in recent years, with the development of BIM and related international arrangements. This had led to the use of product catalogues, based on information gathered by the different parties within the supply chain. By adding design concepts into the mix, construction companies can give customers a choice between alternative options. On the basis of detailed design concepts, combined with professional advice, customers can make an informed choice. Phased construction is also an option if they have not enough budget initially to cover all their needs and wishes (Oostra, 2014). The construction industry still has great opportunities to “de-burden” customers. This extends to what else customers need, would like to have, or may require over time. It extends to providing customers with professional building advice. On the basis of the experience of similar customers, the building professional can advise customers on what solutions will work for them and how their needs may evolve in the years to come. This may vary from minimising home maintenance and maximising property value retention, to adding greater comfort and making the property future-proof, through to providing financing, leasing and other services. Future-proofing involves making a property self-sufficient, for example in terms of energy consumption, or remodelling it to allow people to live independently in their own home for longer if they fall ill or as they grow old (Saxion, 2014). Professional construction is the point of reference for most people these days. Self-build projects or building projects undertaken as a joint activity by a group of people are exceptions to the rule. However, technology allows design, production, construction and refurbishment to be viewed as a process of co-creation, with users playing an active part. User-centered innovations convert consumers into proactive consumers or “prosumers” as Alvin Toffler words it. As new technologies become available, more buildings can be designed and produced according to a bottom-up approach. Clients, occupants, prosumers, neighbourhood initiatives, cottage industries and social businesses can play an active role in the building process. There has, of course, always been a group of people who can afford to hire an architect or building contractor (Oostra, 2014). There are a fair number of products, processes and technologies available that can be used as a basis for encouraging a more prosumer-centred approach in construction. Examples include production technologies such as 3D printing and computer and communication technology, and products like solar panels, open source design and process innovations such as those developed by Living Building and Open Building. 3D printing and open source design, available on the Internet, are powerful tools to enable bottom-up initiatives by people wishing to self-design and self-build (Oostra, 2014). The industry needs to recognise that there is no longer a strict line between owner/occupants, on the one hand, and design, engineering, construction, maintenance and refurbishment professionals, on the other (Oostra, 2014). 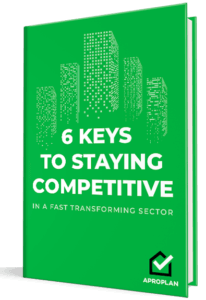 There are major challenges ahead in terms of energy efficiency, renewable energy generation and, generally, resource efficiency. There is some debate about whether clients and end- users are aware that these issues also affect their own personal interests, and to what extent sustainability is included in their wishes and requirements (Oostra, 2014). Sustainable buildings are easier to let, and landlords can stipulate a higher rent and higher asking prices (Yang, 2013; Yasida et al., 2010). Sustainable buildings generally have lower running costs, because they use less energy and also generally less water. Maintenance and operating costs are also lower. In some countries, sustainable buildings are eligible for property tax relief and pay lower insurance premiums. They are also less expensive to refurbish because the design will often provide for flexibility, adaptability, and future-proofing (Kats, 2003). Sustainable buildings can lead to increased productivity, better health for occupants, and a greater sense of well-being (Paul et al., 2008). Introducing a technology or tool into the construction industry alone is not sufficient. As we have seen, these innovations need to be tailored to the context in which they are to function (Oostra, 2014). To address the current demands of the Dutch construction sector, one has to learn how to increase productivity on the construction site. To further understand the Dutch construction sector, you might want to read about the BIM Loket, the Dutch initiative on open BIM standards. Also, take a look at the EU BIM Handbook, which additionally shines a light on open BIM standards. This article is based on the inaugural lecture of Mieke A.R. Oostra entitled Transforming Dutch Construction through Technology.